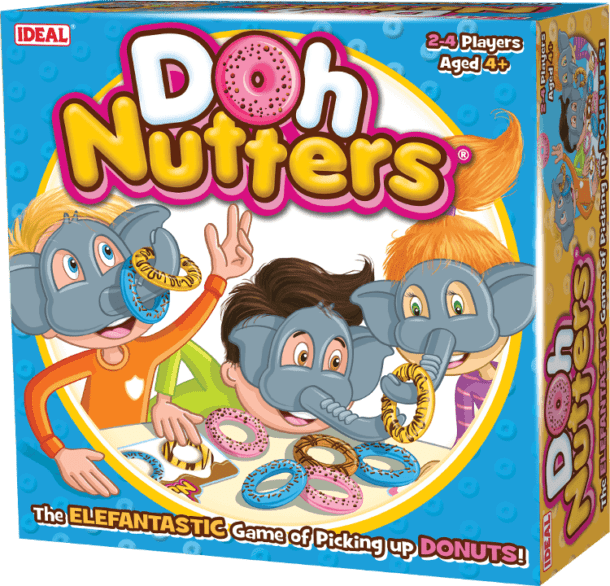 trunk? GAME 2: Can you pick up and place your donuts on your game board one at a time before your fellow elephants? 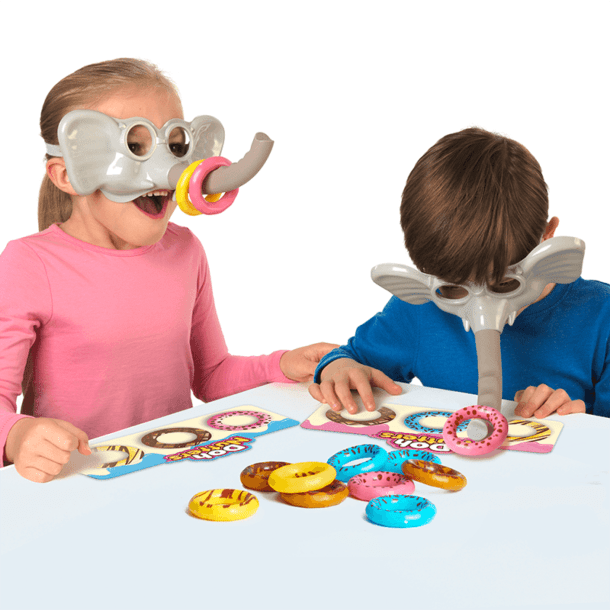 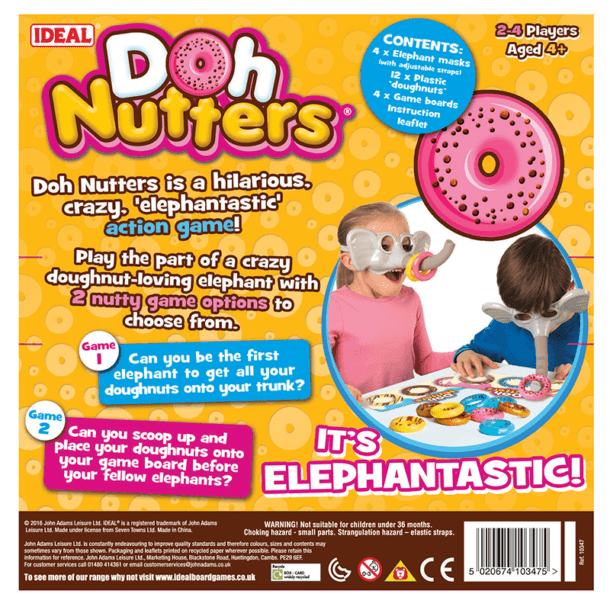 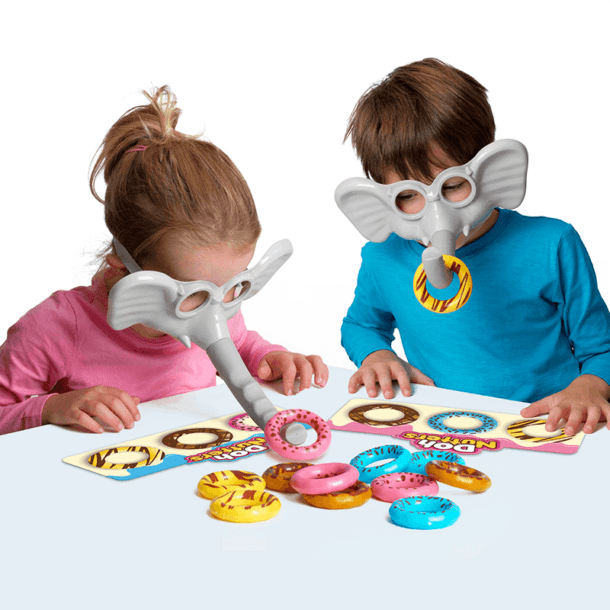 Includes 4 x Elephant masks (with adjustable straps), 12 x plastic ‘donuts’ and 4 x Game boards. Suitable for 2 to 4 players.